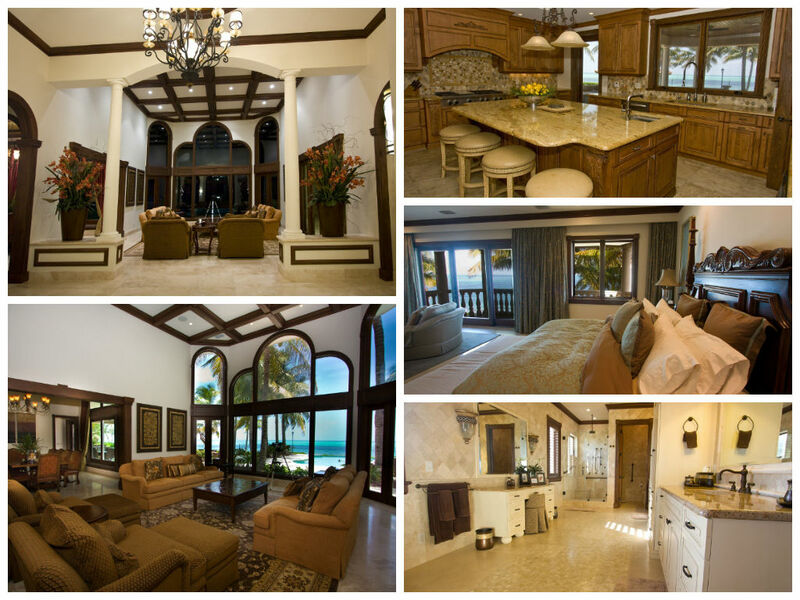 Elegant Beachfront Grand Estate located in the gated beach community of Fortune Cay on Grand Bahama Island. All inclusive with over 17,000 square feet of living space and more than 2.5 acres of lushly landscaped property with beautiful views of powder white sandy beach and serene ocean views. Each house has a separate drive way and full size pools. Experience one of Grand Bahama Islands most unique beach front estates. 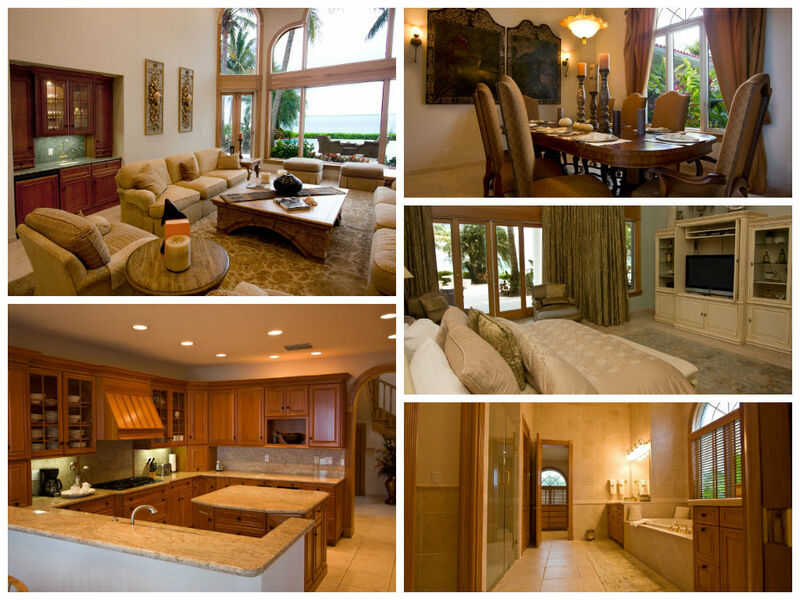 This residence is situated on the south beach of Grand Bahama Island on a picture perfect white sandy beach. 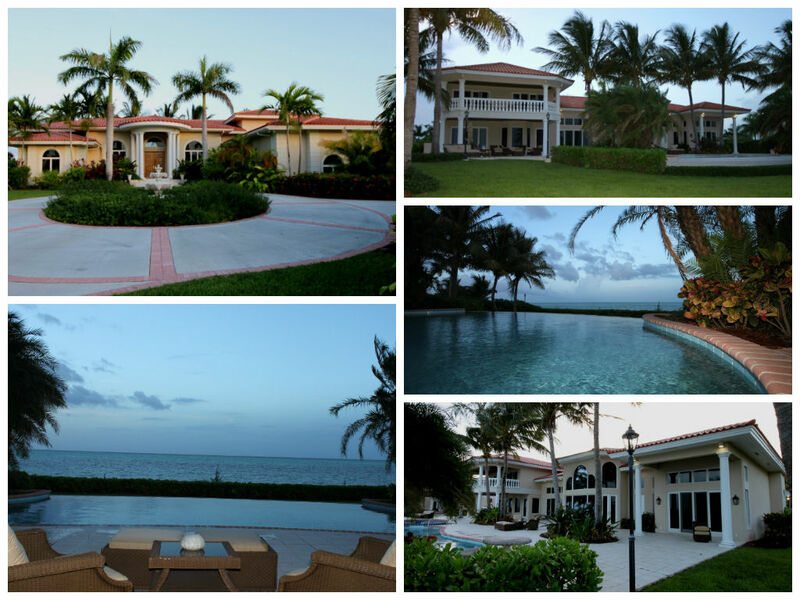 Located in an exclusive private gated community known as Fortune Cay this home has all the amenities one could ask for. This Grand Estate is magnificent------consisting of a majestic main house which includes a full maid quarters and sits on a white sandy beach in the most private of settings. The entrance welcomes you with marble floors and mahogany wood work which flows through the entire house. Interiors include powder room, kitchen with stainless and granite finishings, elegant dining room, office, living room, bedrooms which include en-suite bathrooms, sitting room and wet bars. The second floor on one side consists of the master bedroom with ocean views, large walk in closets and spacious bathroom. On the opposite side is the maids or quest quarters which consists of a full kitchen, living room, 2 bedrooms and bathrooms. Amenities include a 2 car garage, pool, outside dining area and sitting area with a pit fire place, tennis court and generator. The guest house is simple elegance-----entrance welcomes you with a full pool and ocean view through large windows and doors. This house is a mirror image of the main house..